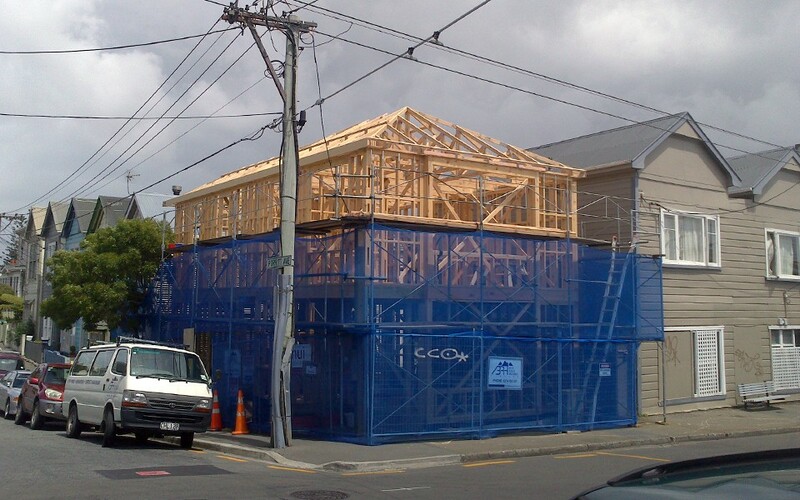 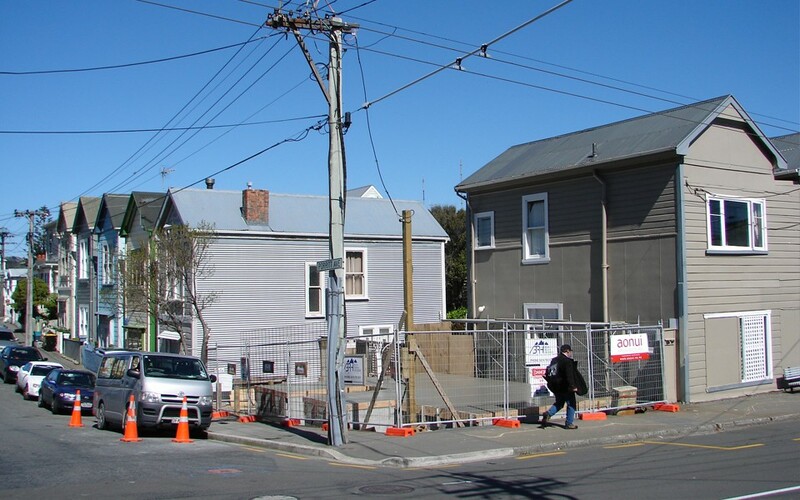 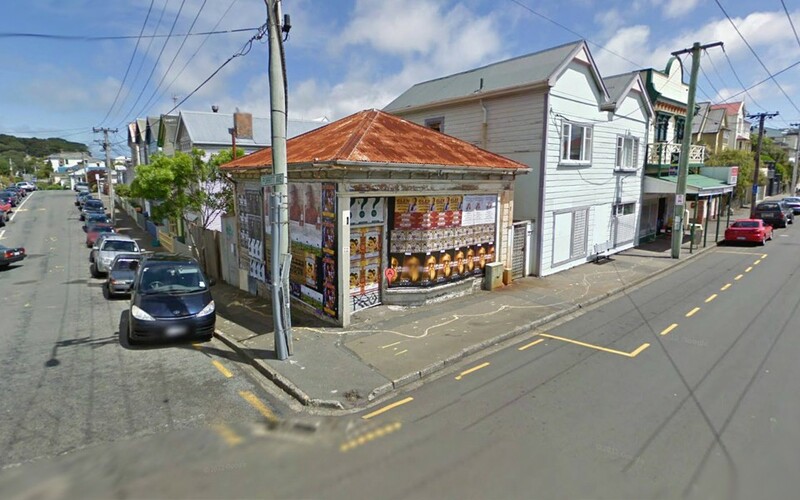 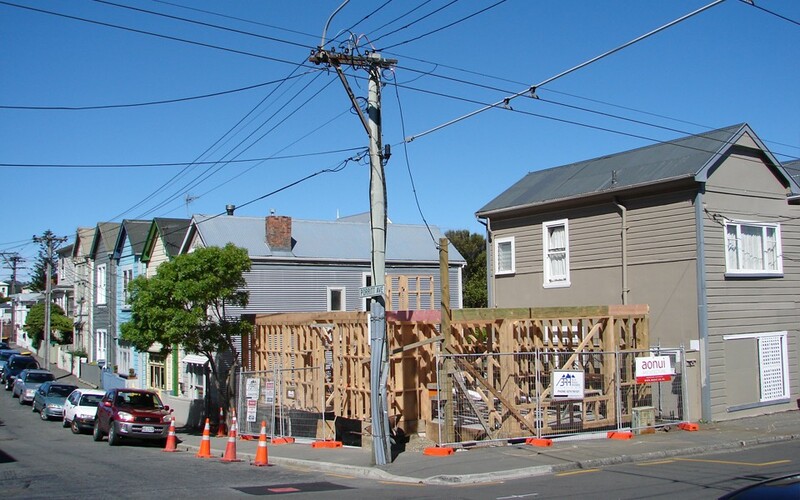 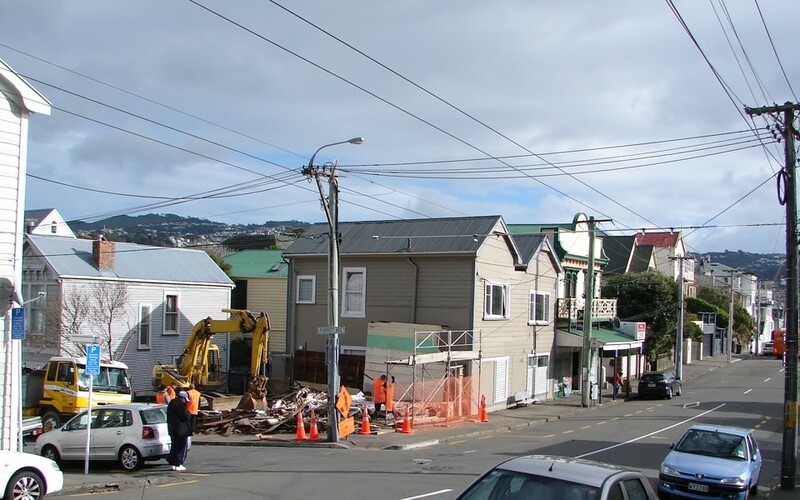 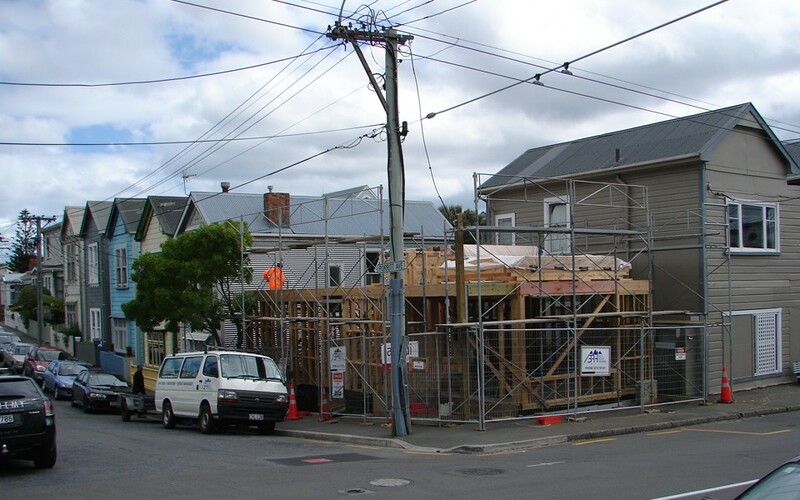 When a long vacant 100-year-old fruit and vegetable shop in Mt Victoria went under the demolition digger blade generations of squatters and rent-free bill posters lost their sweet spot, but local residents and the Wellington City Council cheered. 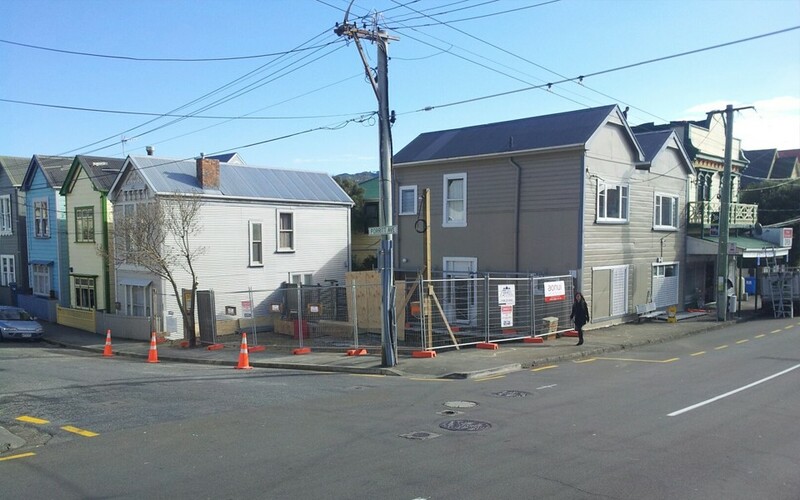 The derelict building made way for a new townhouse that planners agree will fit the neighbourhood well and provide a modern dwelling for the daughter of the last greengrocer who closed the doors in 1963. 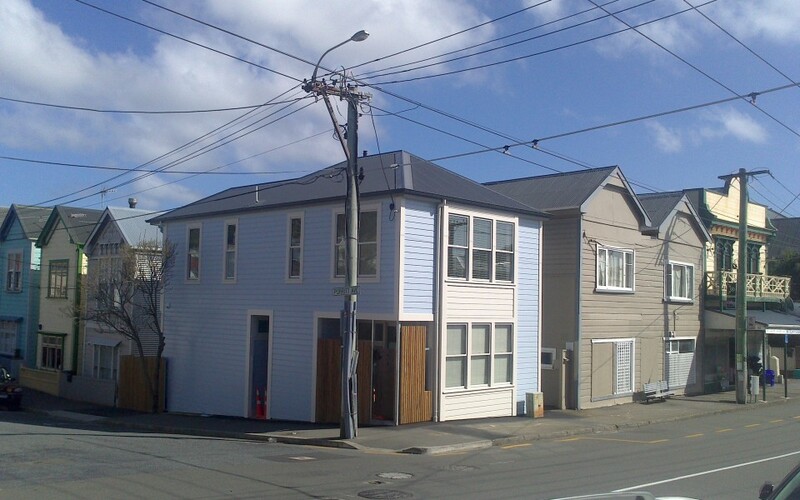 The new house is two storeyed, in sympathy with neighbours and comprises two bedrooms, two bathrooms, gallery at street level and kitchen, dining, living on the upper floor. 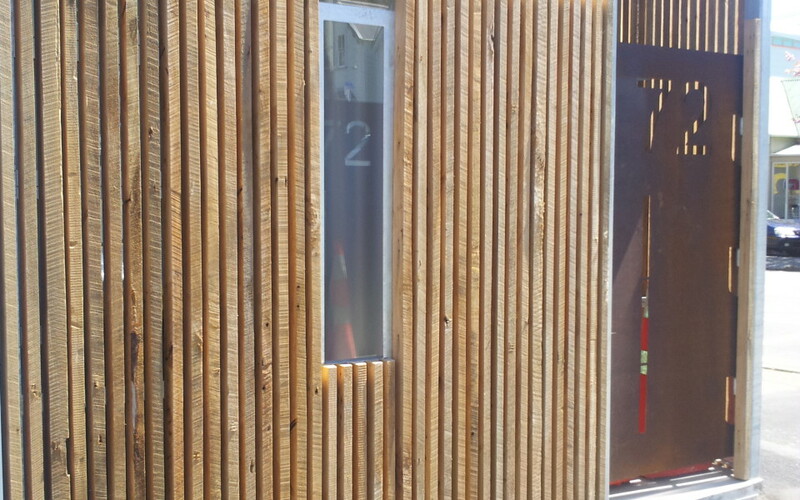 A feature of the project is the re-use of native timber salvaged from the old house in a street corner screen and entry gates.